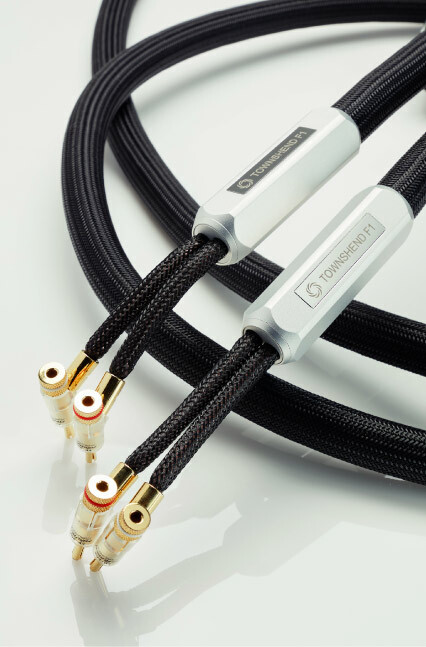 We are very proud of the response we have had, following the release of the new F1 Fractal™ speaker cable.This speaker cable is entirely constructed by hand to achieve the most transparent and neutral connection between amplifier and speakers. The no compromise option for sound quality. Continuing forty years of development, the F1 Fractal™ speaker cable is Townshend’s first new speaker cable in fourteen years! "I’m not a great believer in cables. They are not the sort of thing I enjoy reviewing. Changing to the F1 was removing the greatest block in the system, and was making the greatest difference." Two Fractal™ treated pure copper strip conductors are spaced with ultra thin PTFE insulation with no adhesive and surrounded in flexible polyurethane polymer for truly comprehensive vibration damping. This entire construct is then encapsulated by a super-strong flexible conduit for ultimate protection, within hard wearing woven polyester braid. Each end of the cable, incorporates house-keeping electronics to ensure stable operation with ALL amplifiers and features radio frequency interference reduction circuitry. 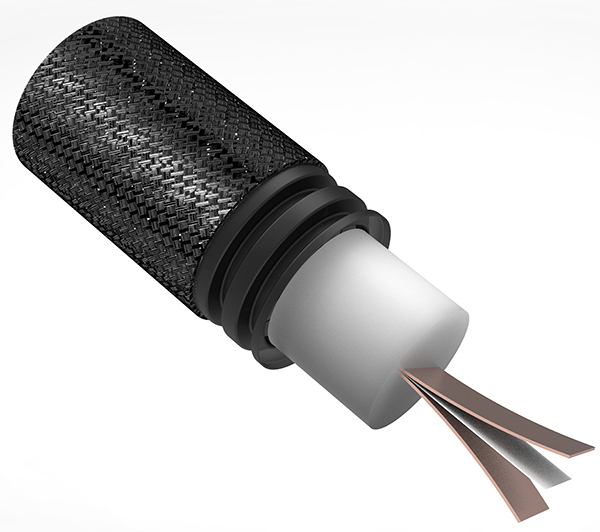 All contained within a machined solid aluminium capsule, that also works as a transition between the twin-strips and the wire tails. The cable may be terminated with lockable banana plugs, spades or the connector of your choice. The F1 Fractal speaker cable is non directional and un-equal lengths may be used. It requires no burning-in and is available in lengths of up to 10 metres. “Townshend Audio has long been the company that never does it the way you expected, but always does it right. There’s a deliciously left-field approach to Townshend Audio’s design criteria that sweeps aside convention and makes something at once different and brilliant. So it is with F1 Fractal, the latest in a long line of ‘break the rules’ loudspeaker cables. Townshend mathematically calculated the optimum relationship between inductance and capacitance, for lowest distortion, caused by reflections in the cable. The result is fractal wire, which uses two closely spaced, ‘Fractally-treated’ pure copper strip conductors that are now insulated with ultra-thin PTFE, encased in synthetic rubber, and clamped within a strong, flexible conduit trimmed with woven polyester braid. The ends of the cable are terminated in a metal enclosure containing an RLC network to prevent unstable amplifiers from oscillating, to reduce distortion, and to act as an RF filter. According to our review, “the bass is really tight, precisely formed, so the attack of the double bass section is absolutely clear and keeps time very well.